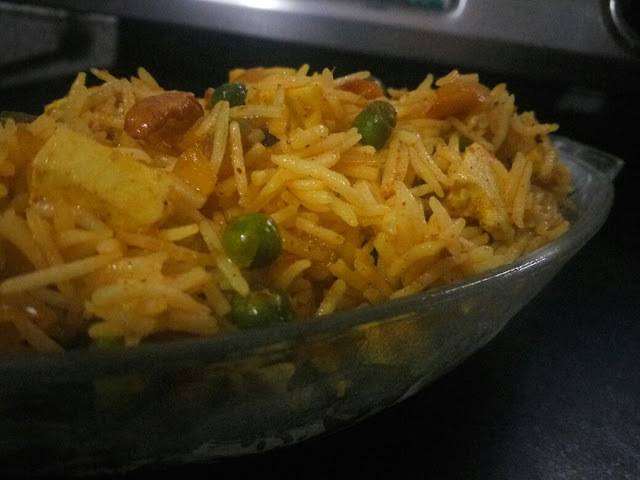 Recipe by Naiya Sheth: Pulao is my all-time favorite quick and easy recipe. I think it's the easiest way to have lots of vegetables at a time. In this homemade recipe of Mutter Paneer Pulao I tried to add homemade paneer, and it's really very delicious. So let's try this easy and healthy mutter paneer pulao with super delicious Pav Bhaji. Wash soak and boil basmati rice. In a pan add oil and ghee, heat at the slow flame and then add chilli, garlic and ginger paste to it. Cook for 2 minutes and add cashews and onion to it. Cook till transparent, now add green peas and paneer to it. Add all dry spices to it. Cook for 2 minutes only at slow flame. Now it's time to add rice to it. Mix well carefully. 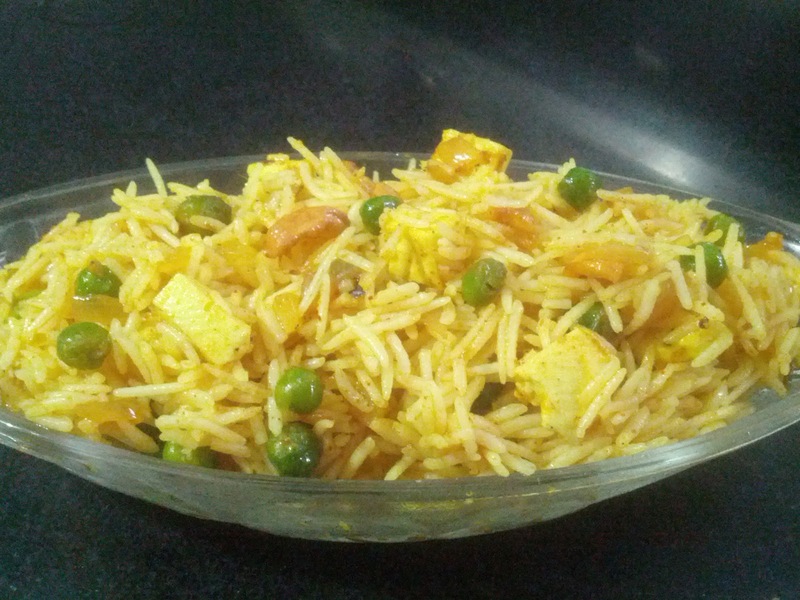 That's it our quick, easy and delicious Mutter Paneer Pulao is ready to serve. Serve it with yummy pav bhaji,simple curd or raita.